The Magic Cage integrated trampoline system provides the ultimate in safety for your children. It was designed for the safest of outdoor use with virtually no maintenance for years of safe family fun. *Shipping note: This item is shipped via freight with curbside liftgate delivery. When ordering, please provide the best available number to reach you at for the freight company to schedule the delivery. The Magic Cage integrated trampoline system provides the ultimate in safety for your children. It was designed for the safest of outdoor use with virtually no maintenance for years of safe family fun. The cage is sewn into the mat to create an integrated system that allows the cage to move with the mat so that there are never any openings between the cage and the mat where a child might get their hands or feet caught, thus preventing any chance of significant injury. The Magic Cage is made out of the same fibers as the jumping mat and has a tensile strength of 350 lbs. per square inch. The foam protecting your children from the uprights holding the cage is ultraviolet protected to prevent the foam from deteriorating or loss of color for several years. That’s why our magic cage has the same warranty as our mats. The Magic Cage's is packaged in three parts. Each of the three pieces is easy to handle by an individual. All Magic Circle Trampolines have a weight limit of 450lbs. – the highest in the industry. 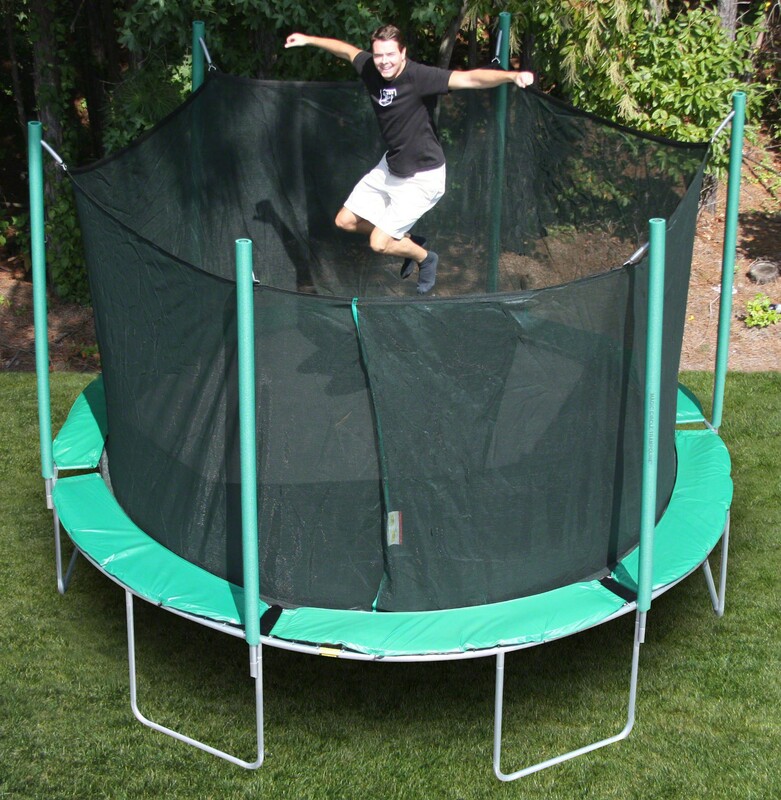 All Trampolines include FREE ground shipping within the continental U.S. Trampolines require approximately four to five business days before shipping.